The temperature has dipped below freezing here in Atlanta and one of the things I don't like about living in my tiny studio is NOT having a fireplace. Nothing is better than the crackle and pop of a wood burning fireplace, in my opinion, and I certainly miss it! I actually create a makeshift "fireplace" with candles at the center of my living area at night. It doesn't warm the place in temperature but it definitely makes me FEEL good. While snuggling under my blankets last night I was thinking about what my ideal fireplace would be. I found some great examples of contemporary & transitional styles that I LOVE on Houzz.com. 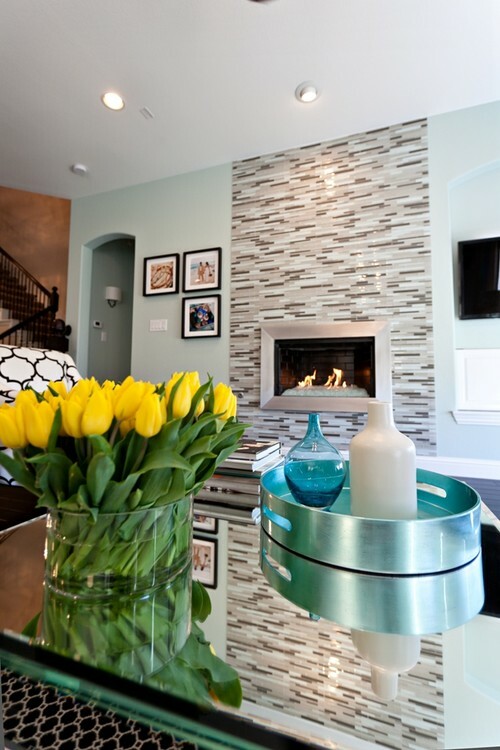 Love the airy feel of this contemporary fireplace! 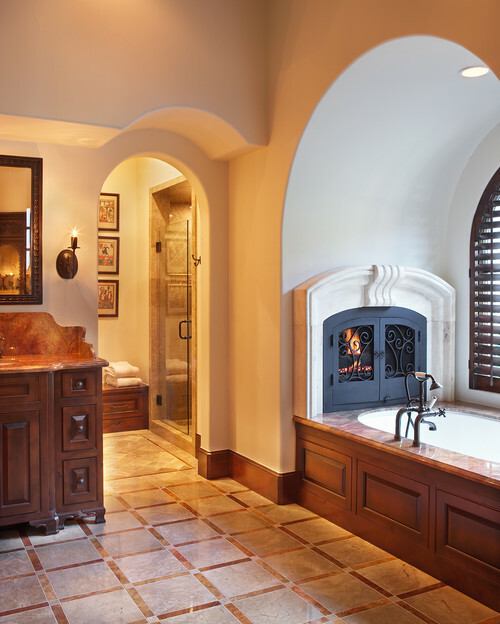 Who wouldn't want a fireplace next to their garden tub? 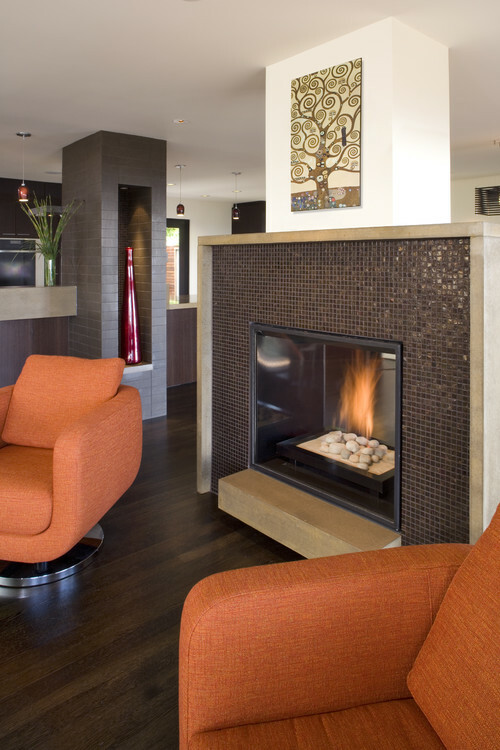 My dream house has a two sided fireplace, and the mosaic tiles around this one are so chic. contemporary living room design by austin general contractor Four Corners Construction, L.P.
Hope you're staying warm where ever you are!